I was in Cartesville the other day at Cohutta's Fishing Company Fly Shop and the owner Andy Bowen showed me something that I think you're all going to want! Great looking shirt to show off your passion. Call the shop (770-606-1100) to get sizes and prices. You don't find many items with a shoalie on it. The art work is by Paul Puckett. Saw that on another site a while back and was going to post it (and forgot). 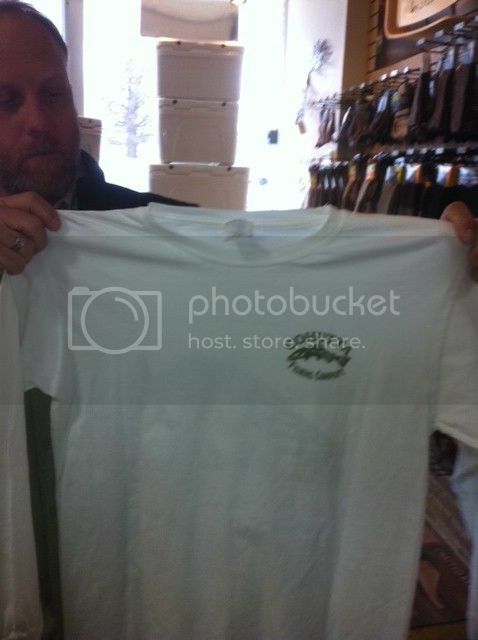 Good looking shirt, I want one. Wow... That is a very cool shirt. I definite want one and will call and get address and make sure they have my size (which is porobably a 2X now as I have gained about 15 lbs since Thankksgiving ). Awsome shirt... Already called to get one, they're out of my size, but the guy said they'll be reordering next week. I couldn't resist and went by there today and got one... As most of you know I am mainly a Striped Bass fisherman (primarily because they can get so big and fight so hard), but I LOVE Shoalies as well, and definitely my favorite black bass species to catch. 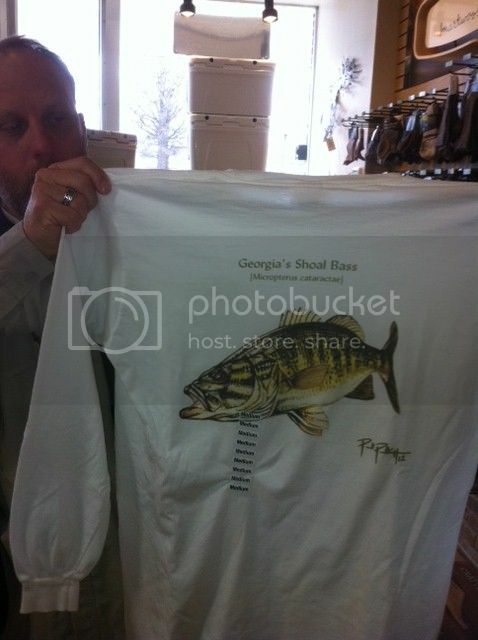 Now I''ll have to see if we can get Paul to draw a good striper for a boxed set of river beauties!